I came across this article from 2012 by Michael Wolff (yes, him of recent Fire and Fury fame) about his mother's long, winding, demented, and utterly dehumanising road to the end; the (US) health system that is aiming to keep everybody alive for as long as possible and at all (your) massive cost. Not one doctor, neurologist, or social worker is prepared to mention let alone discuss the elephant in the room - the end. Death, and perhaps how to let that happen in a non-invasive way. Heart-rending reading, and the many comments only support Wolff's view that this system is totally wrong, if not sick. Don't start if it's not your cuppa - it's a long article. A post containing the dreaded tl:dr would be very insulting to the author and those of us who are in this situation or dread to be the main player in such a scenario. “Old age,” says one of Philip Roth’s protagonists, “isn’t a battle, it’s a massacre.” I’d add, it’s a holocaust. Circumstances have conspired to rob the human person—a mass of humanity—of all hope and dignity and comfort. The numbing thing is that you see this all coming—you see it, but purposely and stubbornly don’t see it. As it started with my mother, it was already advanced for a college friend and close colleague. As an only child, he had less room to hide. I looked on with mild concern at his helplessness. I kept thinking my situation could never get as bad as his—he spoke actually, not comically, of murder. But we all catch up with each other. All train wrecks occur on a time line. That is a grim and confronting read. I am 'lucky' not to have to face it with my parents, but I do have to think about the choices that will need to be made about me, by me and my children. Tried to read most of it, but too close to home, especially this morning while my dad is being worse than usual. Of course I thought of you when I read this article, crissdee. It's not just about those who suffer these indignities, and are held ransom to this awful system. It's also about those who are doomed to a life of care that is foisted upon them, cannot escape it; the relatives who live safe miles away so don't have to share in the daily occurring nightmares. Of course there are those who rue the fact that they live too far away. But mainly it's about the people who are not allowed to peacefully slip away, who are medicated so they 'recover' and it's hell all over again for all involved. If somebody says, "I've had enough, just let me go", why cannot medicine be used to honour that wish? It's about the guilt of wishing it would all end, not in the last place for themselves - relatives/friends want their lives back. Can anybody blame them? Walking - miles - shoes. I am actively seeking ways to avoid such horror; here's one option. Some may find such interest morbid; I think it's best to discuss this topic while you still can, to avoid confronting your nearest, dearest, or in many cases complete strangers with those hopeless and painful situations. The 'system' is not (yet) geared up to deal with dignified life endings, so it's up to us. Your home country has a much more open-minded attitude to these things than prevails across most of the world. I wish other places would be brave enough to follow suit. Assisted suicide is still not legal here, although prosecution of GPs/friends/relatives is not an automatic given. Don't answer this if it's too personal 'yorz, but I thought that's what your brother chose? How could he choose it if it's not legal? It wasn't (assisted) euthanasia that he opted for, Jenny. It was palliative sedation. So no medication to end his life were administered, just stuff to keep him in a kind of artificial coma until his body/heart gave up. No fluids nor food are administered in that procedure. We have a similar thing in this country called The Liverpool Pathway. Essentially it's the decision to refrain from aggressively treating a terminal illness and simply make the patient as comfortable as possible while it takes its inevitable course. Unfortunately it's gotten a pretty bad name recently as several hospital trusts have interpreted "not providing medical treatment" as "withholding food and water" resulting in the patient basically starving to death. My grandmother was put on the Liverpool Pathway when she developed untreatable mouth cancer. Luckily for her, my brother's partner had seen the ugly side of this treatment with her own grandmother, and so made damn sure that the medical staff treating my Nan were held to account and did their best to make her final days as comfortable as possible. The mainstream attitude to palliative care and assisted dying in the UK is really strange. In my experience, most people accept when their loved ones have no chance of recovery, and want them to have a 'peaceful' end (or as close to as possible). Occasionally there are those who disagree and want everything done to prolong life as much as possible (particularly when dealing with terminal illness in the young), but it's certainly not the most common view. I have a few friends working in geriatrics and palliative care, and their opinions tend to be that our end-of-life care here in the UK is worsening. The problem is that if there isn't a clear directive from the patient (particularly if they're confused) then agreeing to stop life-saving care lays you open to all manner of legal/professional blow-back. The advice they (and I) tend to give everyone in the UK is either get someone to have Lasting Power of Attorney, or to sign an Advance Decision to clarify the treatment you would or wouldn't want. That's pretty much the only way to guarantee that you won't receive unnecessary treatment in the future. Hopefully one day we'll reach a point where there can be a proper conversation in public about end-of-life care, but I suspect that day is a long way off. Victoria is some way there. People with terminal conditions whose life expectancy is more than 12 months will not be eligible and doctors can opt not to contribute to bringing about someone's death. The mainstream attitude to palliative care and assisted dying in the UK is really strange. You don't explain what is strange about it, but I figure you mean that while most people agree on an as painless and comfortable end traject, they not prepared/can't be bothered to put that down in writing so the medical staff have no other choice than to prolong the dying process. No, not at all. I completely understand why people don't do that; a lot of people don't know the processes, and even those that do often think they've got plenty more time before they need to do it. What I find strange is that there seems to be a huge opposition to any kind of directive that allows doctors to not continue with life-prolonging treatments, when on an individual level, most people would prefer that option for their loved ones. A few years ago, the Daily Mail ran a massive campaign to get rid of the Liverpool Care Pathway (or the 'death pathway' as they put it), and succeeded. It was a system that meant that consultants could agree on a ceiling of care and clear palliative plans for a patient in advance, so that out-of-hours doctors had a legal cover to not automatically start treatment if they deteriorated. But there was massive popular support to get rid of it, despite the fact that the family of nearly everyone I saw who was on it seemed to be happy with the use of the plan. I see. Yes, everybody (bar a few sensible souls) thinks there's 'enough time'. Even in the Netherlands with all its possibilities in that field, plenty don't want to contemplate such a moment where they have to decide for themselves or godforbid others. 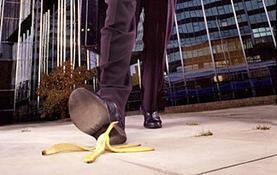 "Do YOU know when YOUR proverbial end-of-life banana skin lies waiting for you around the corner? Start thinking about it. Discuss it with your friends/family. Better now, when there's no pressure, than when it's too late and you're thrown in at the deep end. Make sure your wishes/thoughts are known. Plenty of material available from your GP, your library, and the Internet. Ask your parents/siblings what THEY want." On the eve of the day my parents would board their emigration 'plane to Oz, during our last meal together (together with my younger brother), my father suddenly said, "I think this is a good time to talk about my* Will". Well, it definitely wasn't the right moment. We were not in the mood at all; that should have happened way before. They flew off, and within a year my Dad was dead from superquick small-cell cancer. Never saw him again. Just to illustrate that you can't just let it gather dust somewhere, or think you have time at the last possible moment. Most likely you won't. Once it's been discussed and at least SOME decisions are put on paper, THEN it's fine to let it rest until the time comes that everybody will be very grateful they know what to do. * it now occurs to me that was an odd thing to say - usually, parents draw up their Will together. This sounded as if he had his own, separate, wishes. In a coincidence of timing, BBC news has this article today about advance decisions and people in vegetative states.